Samsung's X-range is having a downright family gathering in our editorial office at the moment. After we have reviewed the small X120 and the somewhat bigger X420 in the previous weeks, their big brother, X520, now dares to stride over our benchmark course. The little ones showed weaknesses in the keyboard and display. Will the big brother prove to be different or is there a great family resemblance? The X520 is almost a classic subnotebook: It's compact, slim and with a bit over 2 kilograms fairly light, as well. However, the 15.6 inch display is sufficiently sized for large documents or to enjoy movies from a further distance. But not DVDs: Samsung doesn't build in an optical drive. As all X-notebooks, the X520 also looks presentable and wants to convince the user with up to 9 hours of battery life. Simple, everyday tasks are to be managed with an energy sparing Core 2 Solo processor and an onboard graphic card from Intel. Its smaller siblings were definitely an eye-catcher, as the sides were slightly concave, the black surfaces were made of high quality plastic with metallic particles and a plastic bar in a chrome-look ran around the whole case. The X520 includes all of these design features. It's especially similar to the X420, like two peas in a pod, except for the size. 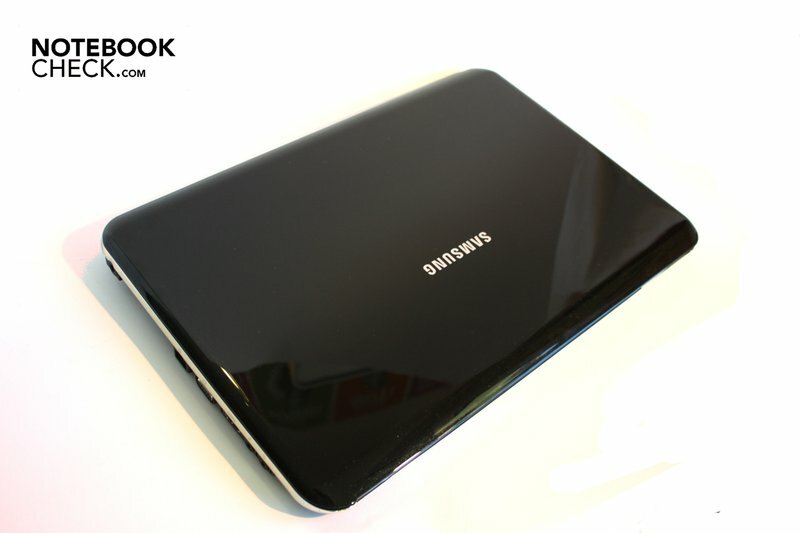 The Samsung X520 has a width of 382 mm, a depth of 256 mm and a maximum height of 32.4 mm and weighs 2090 grams. You carry an additional 270 grams around if you include the adapter. These values still justify the label slim and light but don't come even close to a MacBook Air or Dell Adamo with case heights of only 10mm and a weight of less than 1.4 kilograms. In return, the workmanship is of very a high quality, as already known from the series. All components are connected firmly with each other and sit to fit. However, the bottom doesn't appear to be quite as stable as those of the smaller X-range notebooks and the case bends a bit when it's lifted at a corner. The display's large size seems to take their toll. Basically, the X520 appears to be a bit less stable and compact than its little siblings. Then again, the display lid is sufficiently stable and doesn't permit light pressure applied from the back to pass. The hinges have been, as already in the smaller models, mounted on the screen's front frame so that the display's lower edge disappears behind the notebook case when it's opened. This looks stylish but prevents Samsung from using the rear for connections. Aside from that, the display can only be tilted by 45 degrees towards the back when looking down on it. 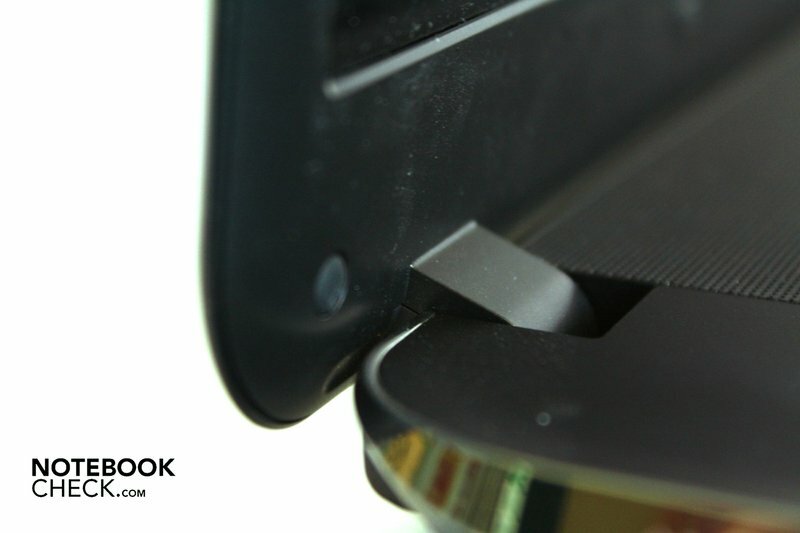 However, the joints give the screen a good grip so that it is securely positioned. But only after a bit of teetering. As already mentioned, there aren't any ports on the rear, and the same applies to the front. 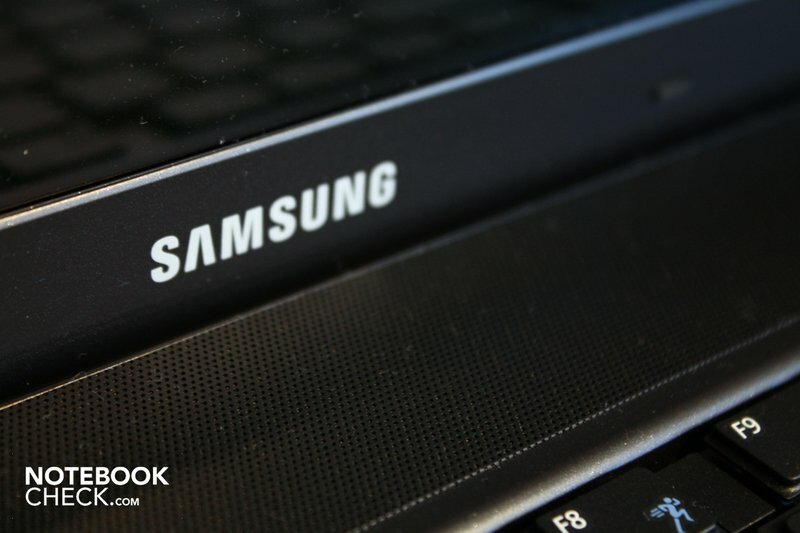 Samsung places all interfaces of the X520 on the sides. This has already been applied in the smaller series model X420 and the positioning proved to be adverse for lefties. You find placed from front to rear on the right an SD cardreader and three USB 2.0 ports, whereas the first is slightly displaced. 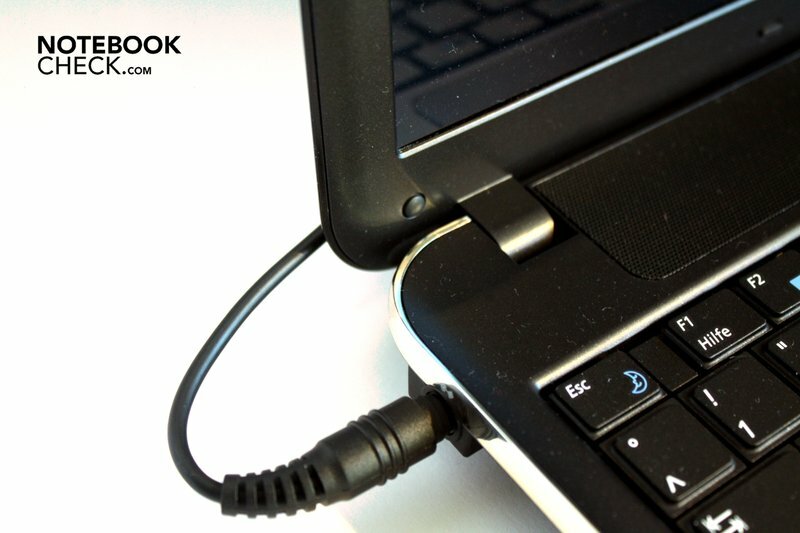 Thus larger plugs can be attached without obstructing other connections. Behind these, there is also a connection for a Kensington lock. 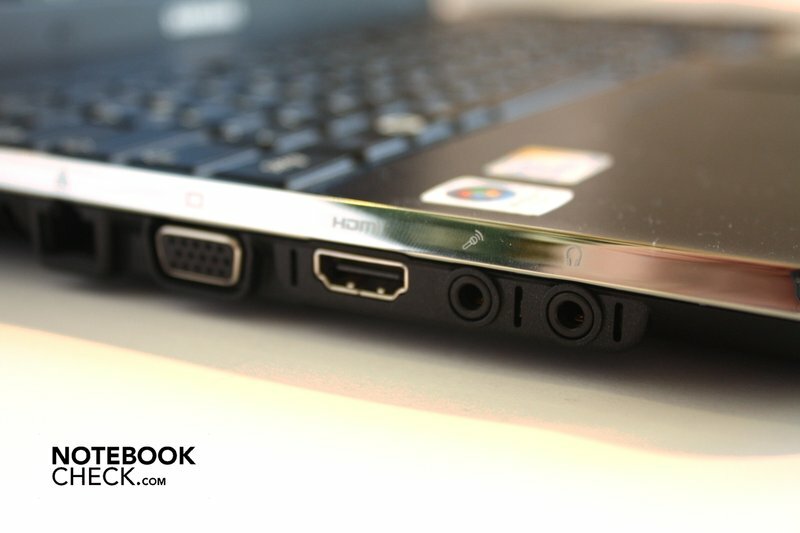 Samsung builds the 3.5 mm jacks for a headphone and microphone, an HDMI connection, a VGA port and a LAN socket in on the left, from front to rear. The louver and the DC-in in the far back follow. Because Samsung arranged the interfaces of the X520 exactly like in the X420, the critique points but also the praise remains the same: The HDMI port is a nice thing, just like the fact that all connections are marked on the chrome bar so that you don't have to wrench your neck too much looking for the right connections. 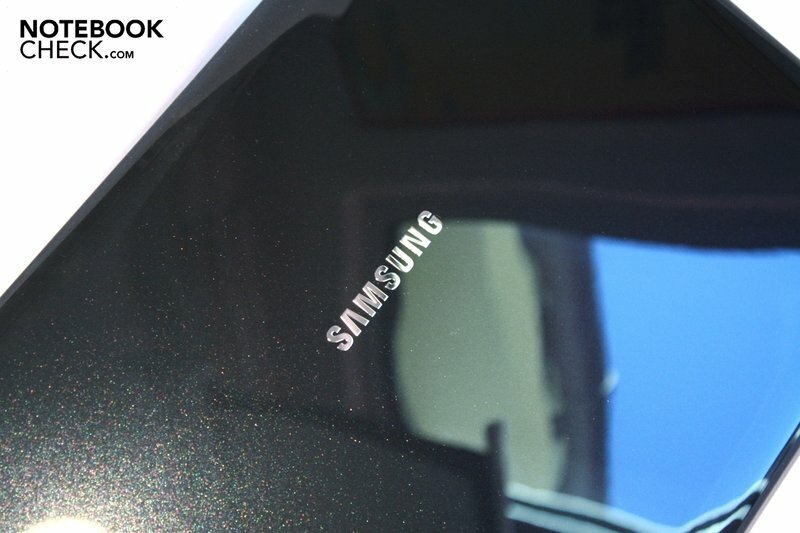 However, the lettering is very discreet and only difficult to recognize in bad light conditions. The biggest critique point remains to be the monitor sockets' positioning on the front left edge. Only few lefties will be pleased to have a thick monitor cable there where he would have actually preferred to connect his mouse. Aside from that, Samsung could have treated us to a bit more variety in terms of the cardreader. If you only have an SD card, you will have to buy a USB cardreader first if you want to transfer data onto your X520. The X520 communicates wirelessly with both WLAN and Bluetooth. Intel's WLAN card has the 802.11 a/b standards as well as the brand new 802.11 n standard. Thus you should be equipped for the future and for a super fast, wireless internet. 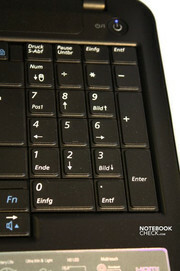 Via the Bluetooth 2.1 interface, wireless mice or keyboards can be connected or to build up a connection to, for instance, Smartphones. Apart from the Windows Vista Home Premium 32 bit, Samsung has barely installed reasonable software. 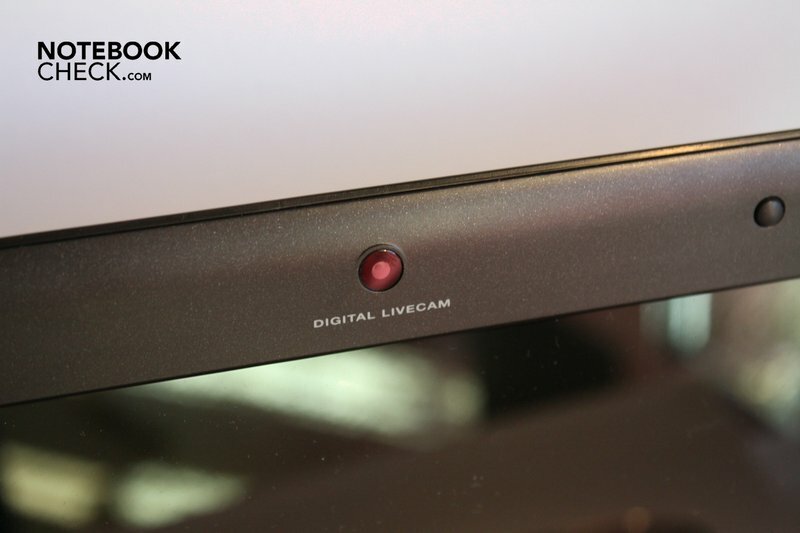 The Magic Doctor that solves system problems or Cyberlink Youcam, with which the built-in webcam can be used are still relatively handy. The included test versions of Microsoft Office and McAfee Security Suite, which can be found on almost all pre-configured notebooks in the meantime, are rather more peeving rip-offs than sensible inclusions due to their 60 day restriction. Aside from that, the vast quantity of unnecessary programs is deterring. If you want a fairly clean Windows, you will have to deinstall at least 25 programs, starting with Yahoo's toolbar up to game demos. Inexperienced users who aren't sure which programs are really vital will be swamped. Additionally, a re-installation of the operating system also re-installs all the bloatware again due to the recovery partition. 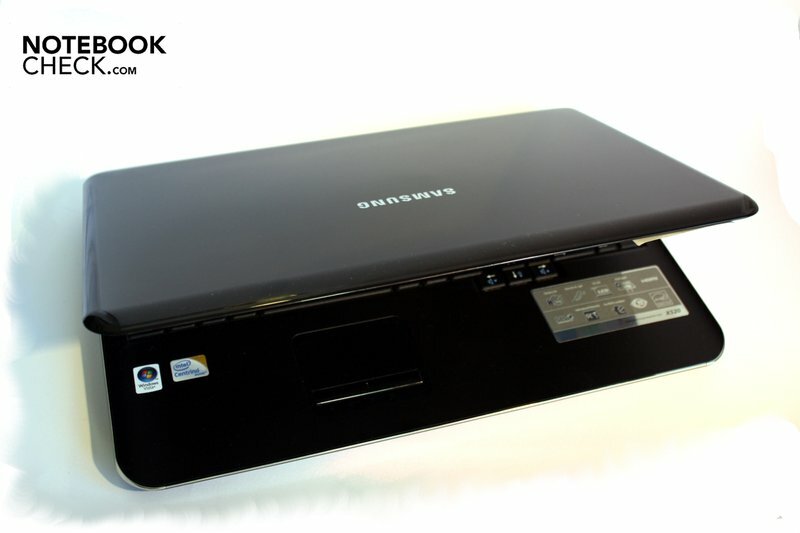 As Samsung doesn't build in a DVD drive, the carton only accommodates the notebook, battery, adapter and a quick guide. There is also an information sheet on how to update Windows Vista Home Premium to Windows 7 Home Premium for a small service charge included. You can also purchase a warranty extension, a replacement adapter for 39 euro, an USB docking station docking station for 169 euro or an external battery pack for 259 euro on Samsung's homepage. Additionally, Samsung has an external DVD burner that could be astute for many users, but which does seem quite overpriced with 219 euro, though. Ridiculously, you can also acquire a memory upgrade that you can't build into the X520 as the maximum possible 4096 MBytes are already built in. Wobbly, imprecise, peculiarly soft - These were the keyboard's attributes of both the X120 and X420. Unfortunately, nothing much about that has been changed in the X520. Although the keyboard sits firmer in the case and barely yields, the keys are wobbly and imprecise. You simply don't get enough tactile and acoustic feedback if a key has been triggered or not. The applied plastic with the clattery single key fit also makes a rather cheap impression. At least the keys have turned out big and the keyboard's design is appealing with the slanted edges of the single keys that simulate a chiclet design with single keys. 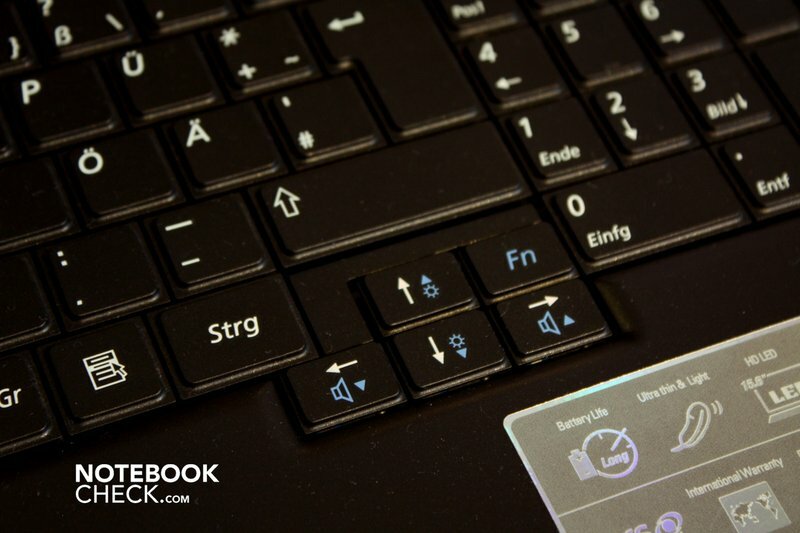 Samsung also integrates a fully functional numerical block and even has enough place for a second Fn key within the reaching area of the right hand so that you can choose with which hand you want to trigger this key. 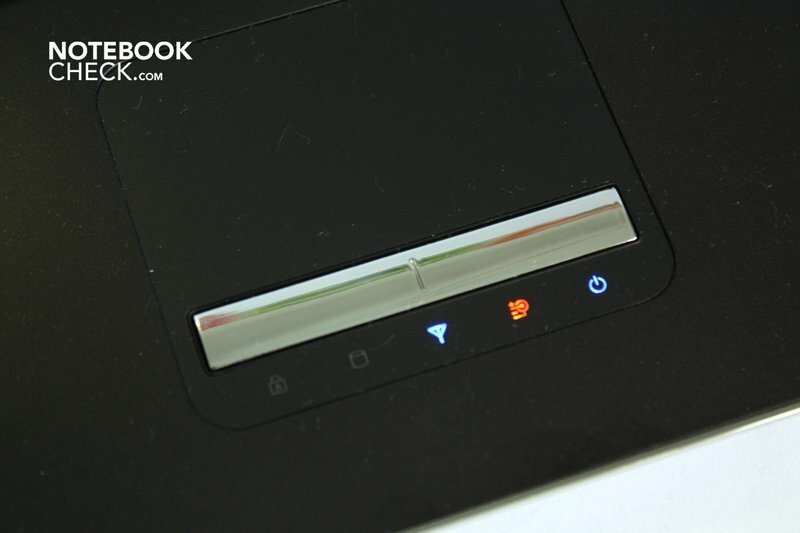 There aren't any dedicated operating elements for volume or display brightness, Samsung uses the Fn key in connection with the arrow keys for these settings. The display can also be enabled with a key combination so to save energy when listening to music, for example. Also, you can monitor the current battery status with Fn + F2. 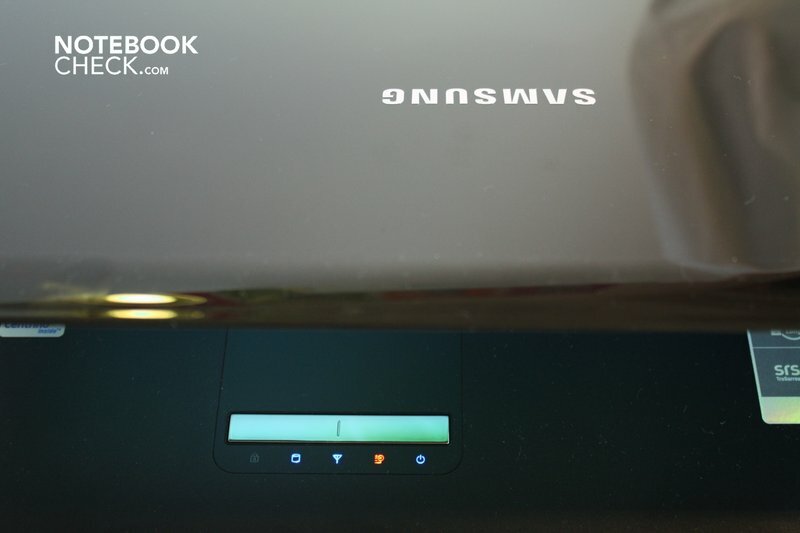 Samsung has treated us to a greater delight with the touchpad, even if it looks a bit small in the broad 15.6 inch case and the optical delimitation to the wrist rest is missing in poor light conditions. But it is well-palpable. The touchpad is a bit submerged in comparison to its surroundings. Moreover, the mouse substitute can be well-controlled in terms of cursor movements and key pressure. 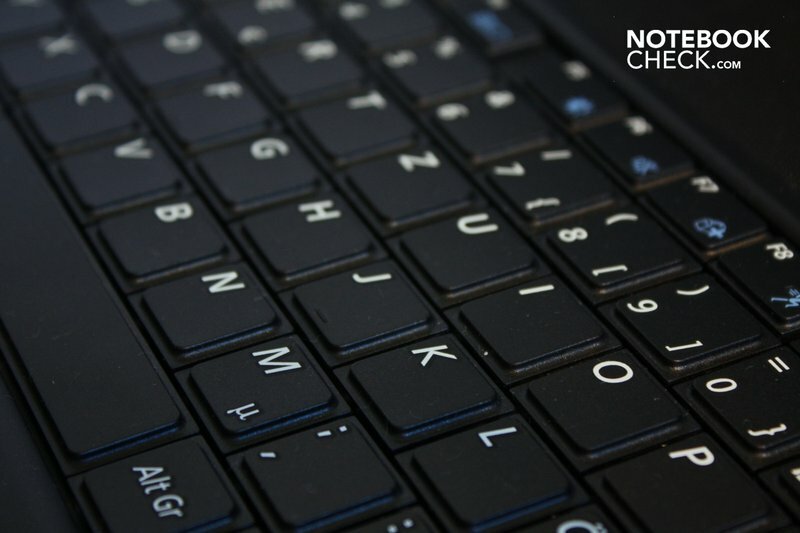 The finger glides with just the right resistance over the touchpad and both keys, in a chic chrome look, have a good pressure point and respond reliably. 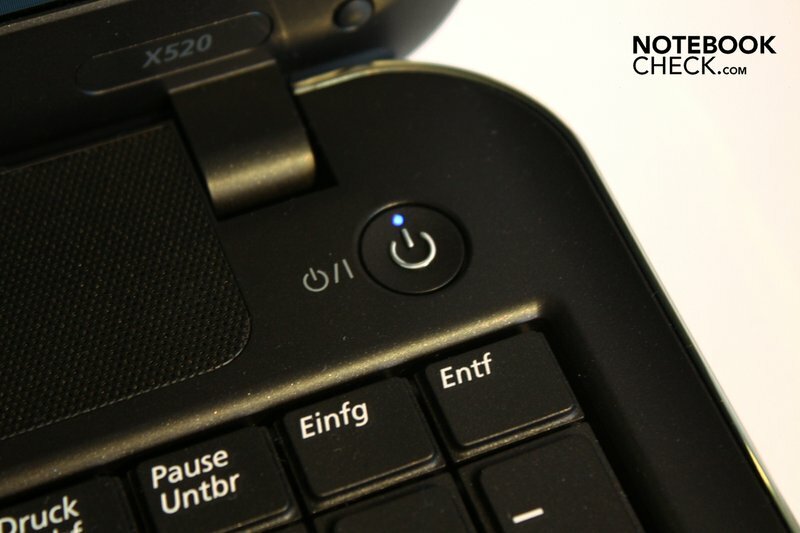 If you have a touchscreen or a Smartphone, then you'll probably know the multi-touch gestures that are supported by the X520's touchpad: When two fingers are pushed apart you can, for example, zoom or scroll with a circular movement. The X520's display has a diameter of 15.6 inches. Samsung lights it up from behind with an LED, which is supposed to contribute to an even illumination and a reduced power consumption. 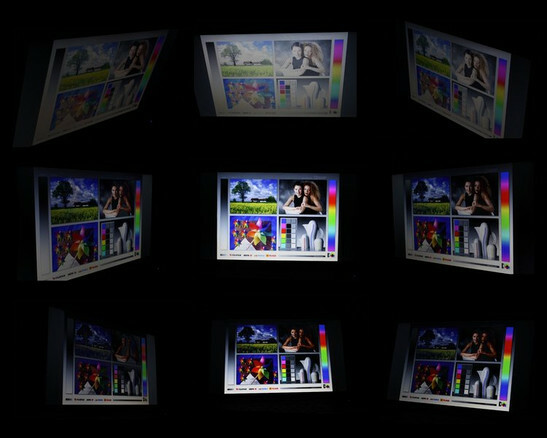 The display has a native resolution of 1366 x 768 pixels, which correlates to an aspect ratio of 16:9. This aspect ratio is beneficial in games because it provides a better overview. Equally, movies can be rendered without or with thinner black bars on the upper and lower edge. In return, the height has been decreased in comparison to the outdated 16:10 so that a more frequent scrolling is necessary with upright formats, such as texts or most websites. The displays of the smaller notebooks in Samsung's X-range were only fair to middling, namely inhomogeneously illuminated and with poor vertical viewing angles. The X520's screen presents better rates. The illumination of 82% is significantly better than in the smaller notebooks. The contrast ratio and the average brightness also show improvement. Looking at the objective evaluation of the display, it scores better than its smaller relatives but isn't yet really convincing. The illumination could be more constant, as obvious discolorations on large color areas can subjectively be recognized. Also, the problem of extremely tight vertical angles remains. The horizontal viewing angles are alright, though. The high-gloss coating contributes to the colors that are pleasantly intense and luminous, but outdoor use is difficult with the X520. Annoying reflections turn up in bright surroundings that make seeing the screen's content strenuous. A matt display would have been the better choice, particularly for a highly mobile notebook like the X520. The viewing angles turn out similar to the other X-range models. There are only restricted viewing angles available on the vertical plane so that the slightest change of position in relation to the display already causes color deviations. However, you have a great freedom of choice in terms of sitting position on the horizontal plane, as the display's content always remains well visible. Thus, several people, for example, can watch a movie on the display at the same time. 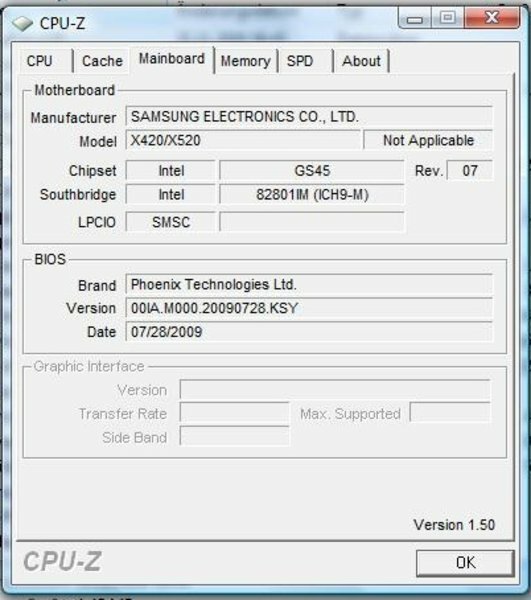 In order to manage the daily challenges in the life of a computer, Samsung implants an Intel Core 2 Solo processor with 1.44 GHz into the X520. The processor is a so-called "Ultra Low Voltage CPU" that needs less energy but also has less performance than equally clocked normal CPUs. 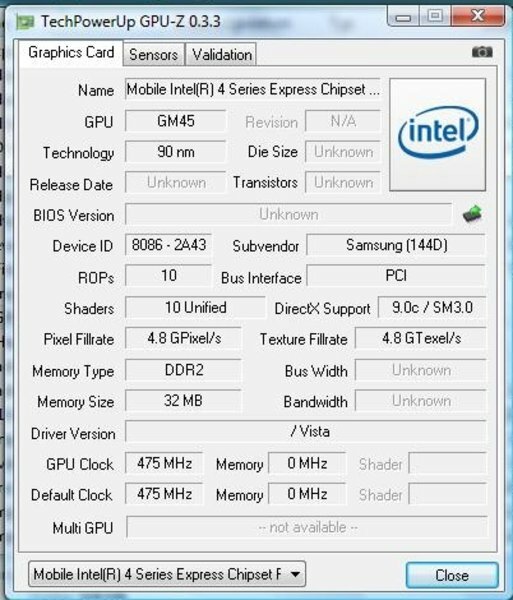 Samsung uses Intel's GMA X4500M HD graphic card that is already integrated into the mainboard's chipset and doesn't have a dedicated memory. Thus, the card reserves, depending on the demand, up to 384 MBytes of the main memory for itself. In return, it has been calculated generously and is fast. 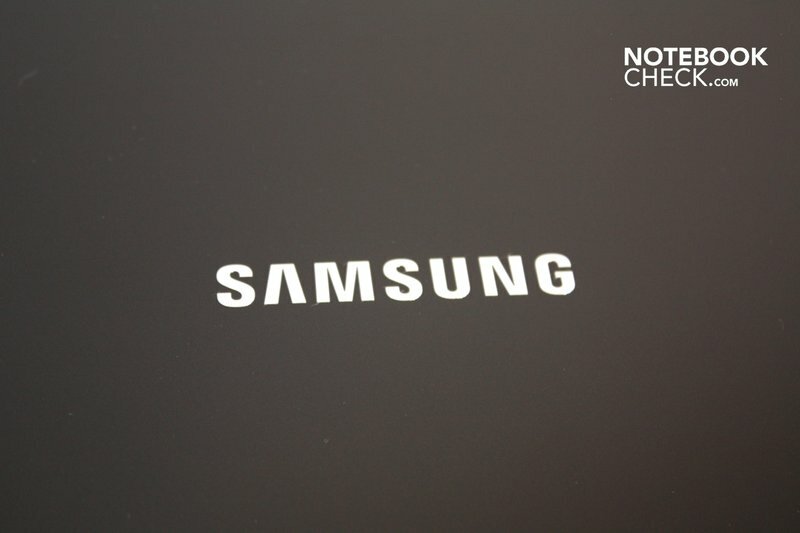 Samsung has built its own quick DDR3 memory with 4 GBytes into the X520. However, only about 3.5 GBytes of memory can be used due to the 32 bit operating system. If you want to use the close to 4 GBytes you need a 64 bit operating system. Both slots are occupied with modules. A further upgrade isn't possible anyway, because the X520 only gets along with a 4 GByte RAM. The notebook proves to be average in application performance and receives a rating of 67% after evaluating the benchmark results. 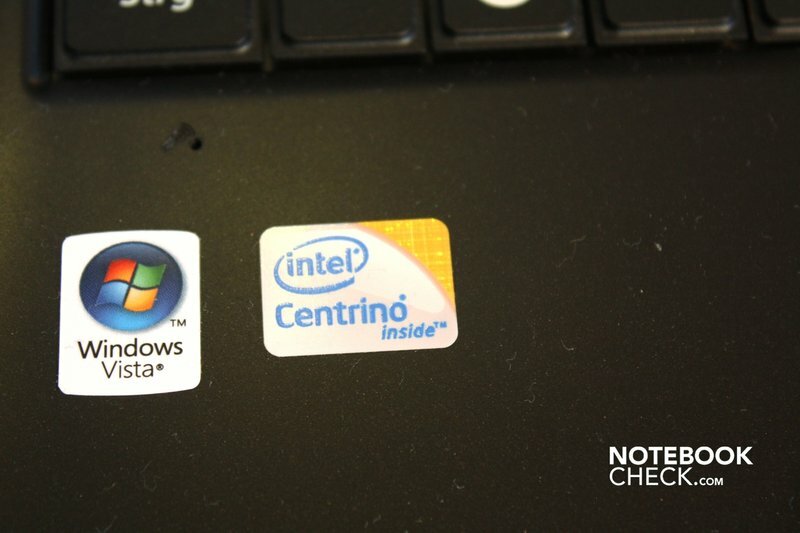 Especially the missing second computing core taxes the notebook: The X520 reaches 2314 points in PCMark05, which are over 1000 points less than the X420 with a dual-core processor. 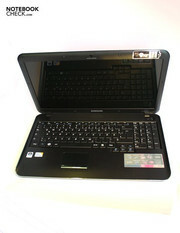 But the Core 2 Solo's power is sufficient for internet surfing and text editing. In return, you will have to make very, very big restrictions at gaming. We installed the rather undemanding but widespread World of Warcraft and tested in three different resolutions and detail setting for the practical test. You will barely be able to enjoy a game with an average of 15 frames at a low resolution of 800 x 600 and the lowest detail settings, and of course, it won't improve at higher resolutions and more details. In the end, our little computer didn't even reach one frame per second at 1280 x 1024 and high details. 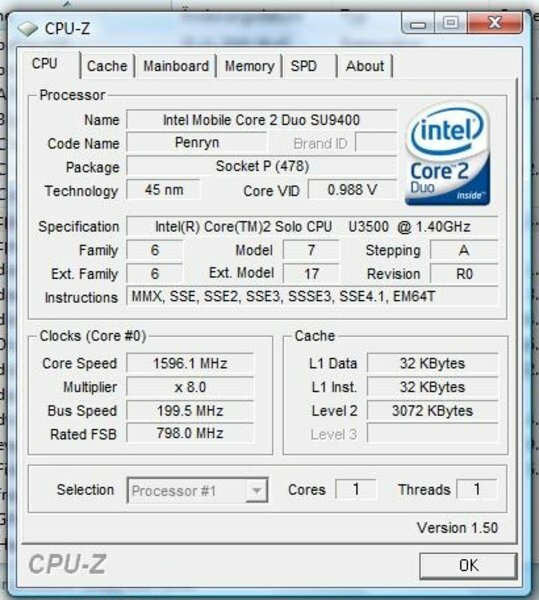 The superiority of a dual-core processor becomes evident here, as well. It was possible to play a fairly smooth game in low details and a low resolution with the X420 or X120 (with the same graphic chip). 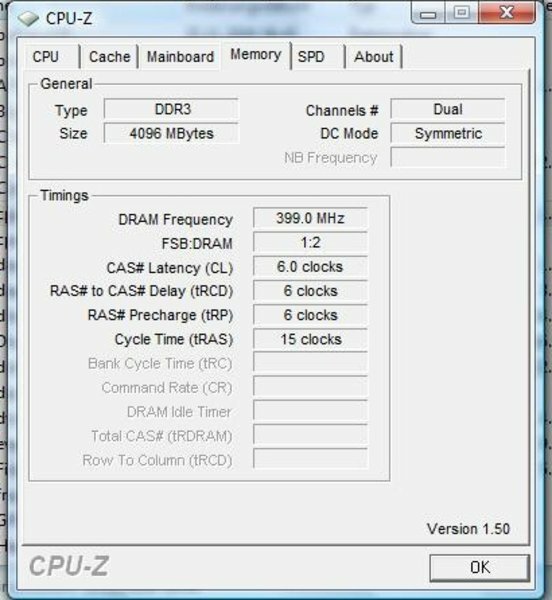 However, Samsung also offers the X520 with a dual-core processor, for instance with the Pentium SU4100, with which our X420 prototype was equipped. Because the price difference among the various configuration is 40 euro at most, we would recommend choosing a dual-core processor in any case. The hard disk does its job stably and even with an quite high average transfer rate of 61.2 MByte per second. 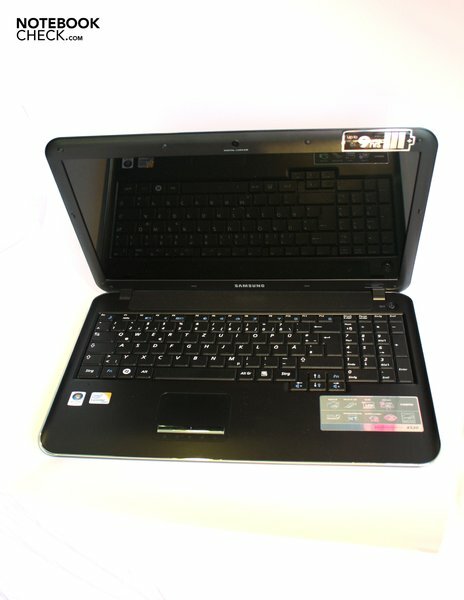 Samsung builds in a Seagate model with the type number ST9500325AS. The HDD has a data capacity of 500 GBytes and rotates with 5400 revolutions per minute. 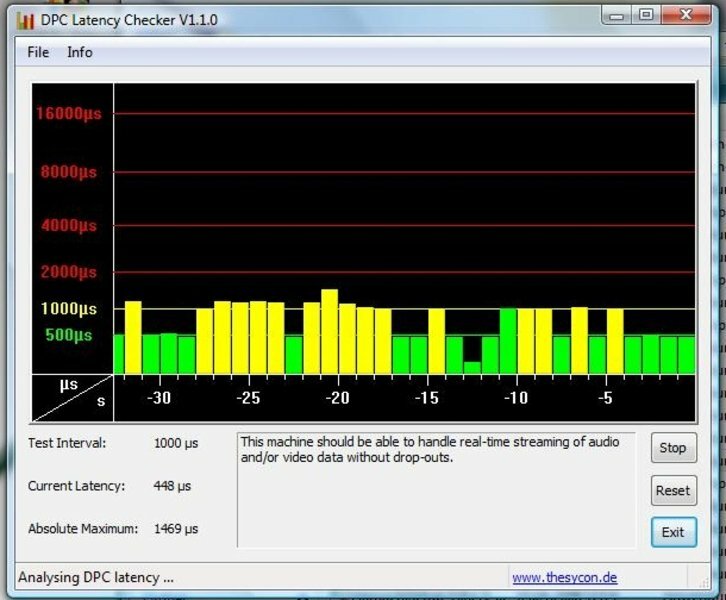 Checking the notebook's DPC latencies also belongs to our performance tests. If these are too high, it can come to communications problems with external devices. These are especially annoying in streaming of audio or video data because it can come to image errors or sound interruptions. The X520 proves to be reliable in this case and doesn't show too high latencies. Refined modesty, so to say, seems to be a family tradition of Samsung's X-range. And the X520 isn't an exception: Neither the processor fan, which emits a maximum of 35.1 dB(A), nor the hard disk with 32.4 dB(A) attract negative attention. The sound level of the fan is even slight lower with only 31.8 dB(A) and should only be audible for users with a very good hearing ability. The temperature also stays within limits due to the energy sparing components. A maximum of 40.6 degrees Celsius on the bottom at full load and a minimum of 25.8 degrees Celsius in the upper right side's area in idle mode are the benchmark data in which the evaluation values move. The wrist rests should be kept as cool as possible in order to prevent sweaty hands during use and actually they barely heat up even under load. We could establish a maximum of 31.4 degrees here. Additionally, the adapter's temperature development of 44.2 degrees stays very much within limits. (+) The average temperature for the upper side under maximal load is 30.3 °C / 87 F, compared to the average of 30.7 °C / 87 F for the devices in the class Subnotebook. (+) The maximum temperature on the upper side is 33.8 °C / 93 F, compared to the average of 35.8 °C / 96 F, ranging from 22 to 57 °C for the class Subnotebook. 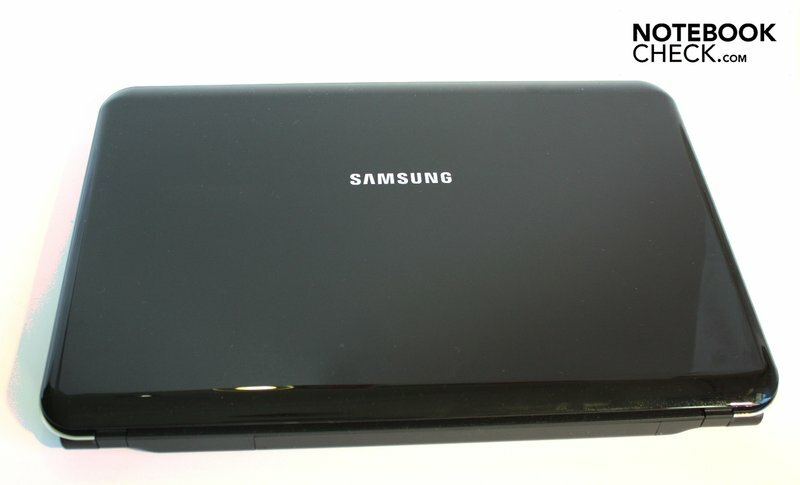 (+) In idle usage, the average temperature for the upper side is 28.4 °C / 83 F, compared to the device average of 30.7 °C / 87 F.
The stereo loudspeakers that Samsung uses in the X520 are hidden underneath a perforated plastic cover above the keyboard and only provide a fairly thin sound. Basses are barely existent and the trebles are extremely overemphasized. 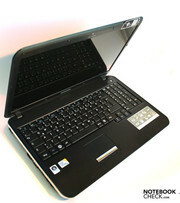 There's no comparison to the high-end loudspeakers built into multimedia notebooks, such as from Toshiba or HP. However, the X520 has a different application field and the sound is sufficiently loud and acceptable for watching internet videos now and again. The headphone-out that supplies a full and good sound is advisable for all audiophiles. The X-range notebooks could score with their battery life till now. 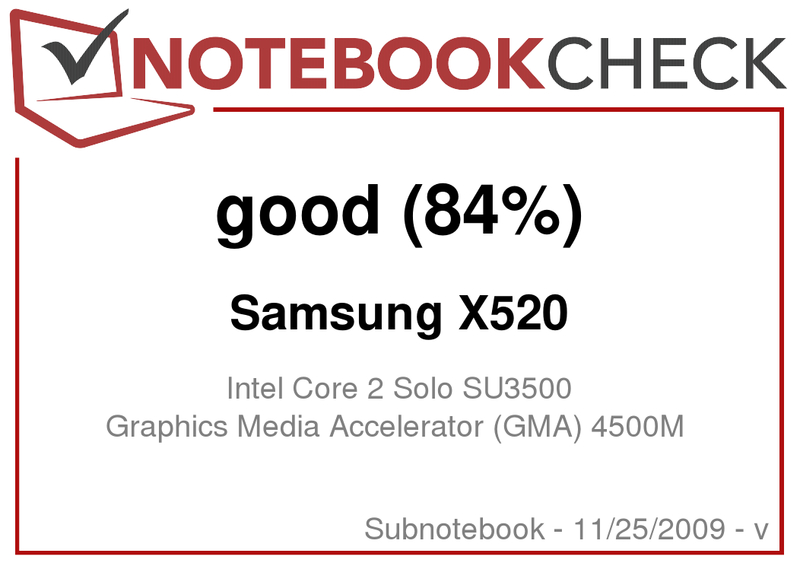 The X420 even achieved a rating of 100% in this category. A sticker above the X520's also promises up to 9 hours of mobility. And Samsung keeps this promise. 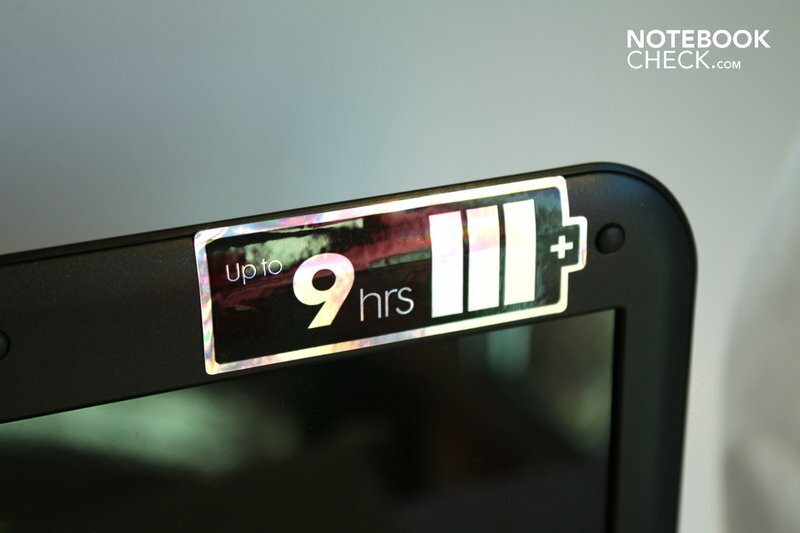 We assessed a maximum battery life of 9 hours and 49 minutes. For this, a text document is read at minimum display brightness and with all energy savings options (BatteryEater Reader). We still assessed a very good 215 minutes, so 3 hours and 25 minutes, as the minimum runtime. A 3D graphic is computed with full power here (BatteryEater Classic). We measured the battery life with an application that should come closest to the X520's operating field, as both of these rates are relatively theoretical. We achieved a battery life of 312 minutes, thus 5 hours and 12 minutes, at internet surfing via WLAN. We rewarded the X520 with the top rating in the battery life category as well, because these values are excellent. Samsung's own lithium ion battery is responsible for these very good runtimes. It has 6 cells and a capacity of 66 watt hours. 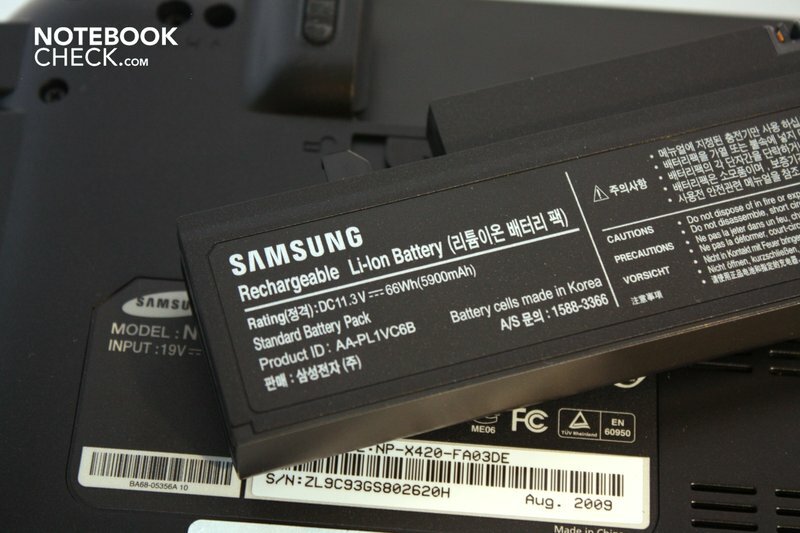 The buyer should take care because Samsung also offers its notebook with a smaller battery that only has a capacity of 49 Wh. It shortens the maximum mobility by up to 3 hours. A lower power consumption is naturally just as important for long runtimes. The X520 proves to be exemplary here and "green IT" suitable. The notebook only needs 6.3 watts when it's turned on devoid of running any programs. The X520's low power consumption is sparing on the wallet and the environment. The notebook drains a maximum of 28.1 watts from the mains, which is a value that most light bulbs even exceed by far. 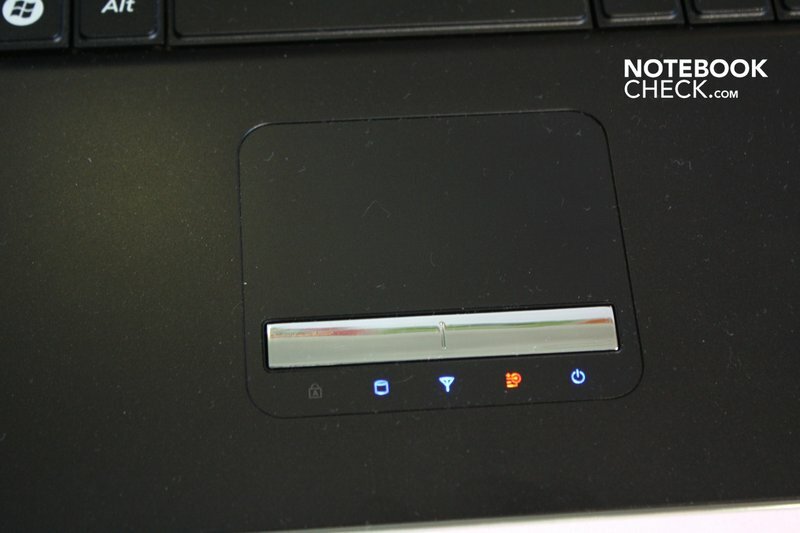 It is striking, though that the preset screen saver increases the notebook's consumption by a whole 3 watts when it's activated and without the user doing anything. We would recommend to simply disable the screen saver because the feared "burn-in of display content" on the screen's coating, which the screen saver is supposed to prevent, only occurs at very, very long inactivity anyway. It's definitely better to simply deactivate the screen after a certain time. The notebook is also exemplary in a deactivated state as it doesn't consume any energy. A few other notebooks consume a few watts even then. The X520 only consumes a low 0.1 watts in standby mode. 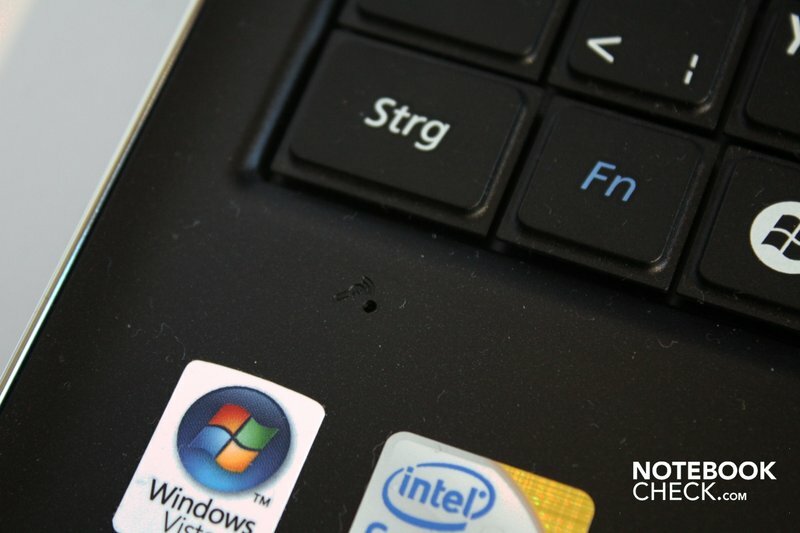 The X520 has also inherited a few family diseases, this being the imprecise keyboard is a problem in the largest of Samsung's subnotebook range, too. The display can't completely convince either, although it is an improvement in comparison to the displays of the smaller representatives. The family has passed on a few good traits to the X520. The design is very nice and the workmanship of a high standard. 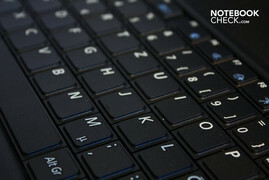 The good touchpad, the low noise and temperature development as well as the long battery life are just as pleasing. Not quite conceivable is why Samsung doesn't build a DVD drive into the X520. 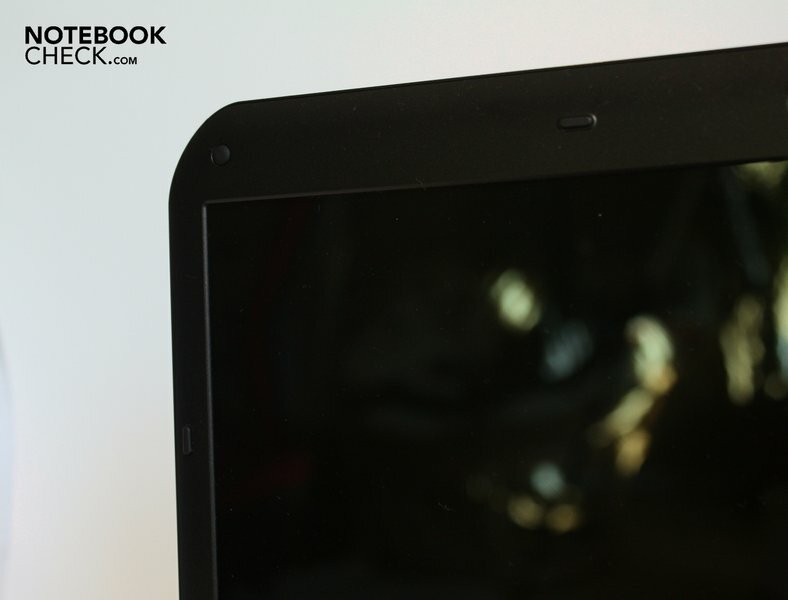 The notebook is barely thinner than other slim multimedia notebook representatives. The price design for the external drive (219 euro - Apple only charges 99 euro for its Super Drive) almost let's you presume that Samsung wants to cash in again. Besides that, the notebook is delivered with a flood of bloatware that experienced users will delete right away, but will slow down the system for beginners. Furthermore, this software trash is also reinstalled with every reinstallation of the included Windows Vista. If you take a liking to the X520's design and mobile qualities, you will get a well-manufactured and chic notebook with family-typical flaws like an average display and wobbly keyboard for starting about 700 euro. We recommend choosing a dual-core processor and to look out for the larger battery. We liked the entire package "good"
Design and workmanship that are on a high standard. That the display size doesn't have much impact on the X-range's battery life. Another design whopper in a 15.6 inch size: The Asus UX50V. 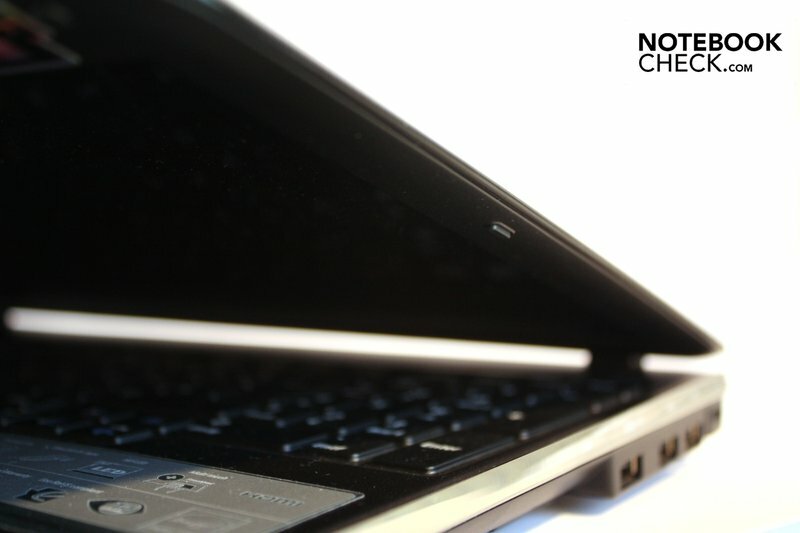 Also chic but smaller: The Dell Inspiron 13z. If you want it even slimmer and more exclusive, the MacBook Air would be right.